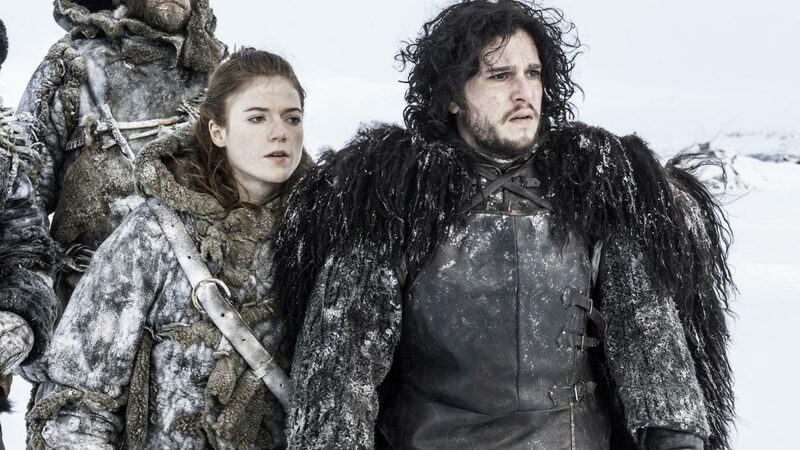 Kit Harington and Rose Leslie only just got engaged, but Game of Thrones fans memorably watched the two actors engage in an iconic romance on the show before they announced that they were a real-life couple. While Jon Snow eventually won Ygritte over with his ~*smoothness*~, Kit's actual wedding proposal was pretty much an accident. In an interview with British TV host Jonathan Ross, Kit described what would've been his ideal proposal setting: "I did have some plans to do it, I was going to string up some lights in some trees and do all the romantic stuff." But a day before his proposal, Kit found himself in a place of maybe too much comfort: "But we were in the country and we were under this beautiful night sky and had a log fire burning and red wine, and I blew my load early." Of course, that phrase is, ah, quite loaded, and a red-faced Kit quickly clarified, "Sorry, that's a really bad expression! I was meant to do it the day after with the lights. What I meant to say was, I popped my question a bit early. Not blew my load." As for the wedding itself? It would almost feel wrong if the Game of Thrones cast and crew weren't somehow involved, and Kit himself even joked about shutting down production to bring Westeros to his (much more fortuitous) nuptials: "[The cast] have all got to be there so the whole [show] has got to shut down."